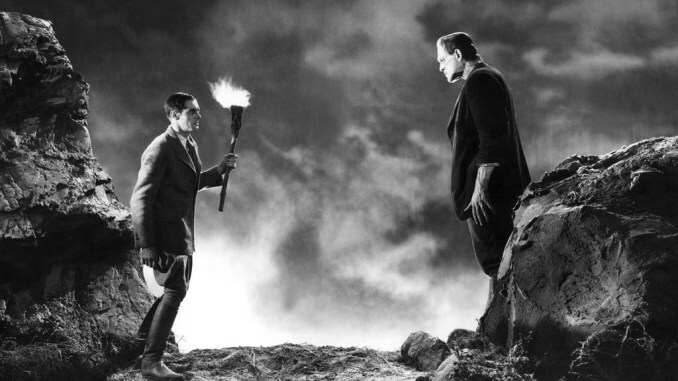 2018 marks the 200th anniversary of the publication of Mary Shelley’s novel, ‘Frankenstein; or the Modern Prometheus’. Since the publication of the book, the story of the scientist and his creature has been analysed, translated, and made into numerous films. Dr. Frankenstein created life from inanimate bodies. This process is related to the transformation of inanimate materials and instruments into art and live performance. 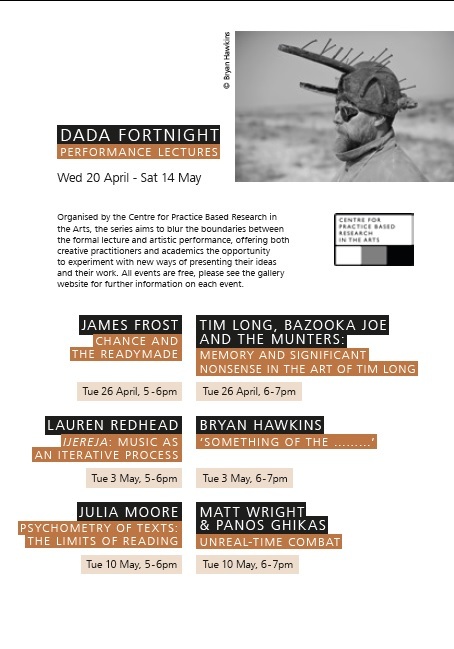 This performative and occasionally informative lecture will see the creation of a virtual sound machine, its sole purpose to synthesise, record and manipulate sound. Through live coding and decoding, functions will be created, virtual wires connected, feedback loops established with sounds drawn from the spoken word and immediate environment to create an immersive soundscape. The virtual sound machine will be devoid of any significant intelligence although memory will form a common thread throughout. As an audience member, do we ‘feel’ movement in performance? This project, a collaboration between researchers in dance and cognitive neuroscience, investigated kinaesthetic empathy  in audiences attending an immersive performance. Kinaesthetic empathy involves the internal ‘simulation’ of observed movement in the brain of the observer; this simulation of others’ actions contributes to action understanding and empathy . For example, when we see someone expressing an emotion, the emotion is embodied through our neural and physiological response . It is not known whether this response is dependent on sight, or can be experienced in a more direct ‘somatic’ manner. We aimed to test the impact of an immersive performance on emotion, arousal and spontaneous motor responses, in general audiences and an audience with sensory impairments. In his unpublished poem “The Organ Cherry”, composer Christopher Weisman describes a hypothetical red button on an organ for “stopping time”. Though the effects of the Organ Cherry are described as “sublime” in the poem, it closes with the forbidding image of the cherry “pumping death in the air”. The Organ Cherry serves as a thinly veiled metaphor for the way in which audio recording, in ossifying the ephemeral sound event as a permanent, unchanging entity, can be seen to render the sound ‘dead’, and the resulting music macabre in nature. My solo performance practice makes use of multi-track tapes from past recording sessions–some dating back to as early as 2004–as the basis for live performance. The tapes, selected semi-randomly during the set, become the subject of a real-time improvisatory process. As such, the approach can be understood as a resurrection of ‘dead’ materials for application in a ‘live’ context.